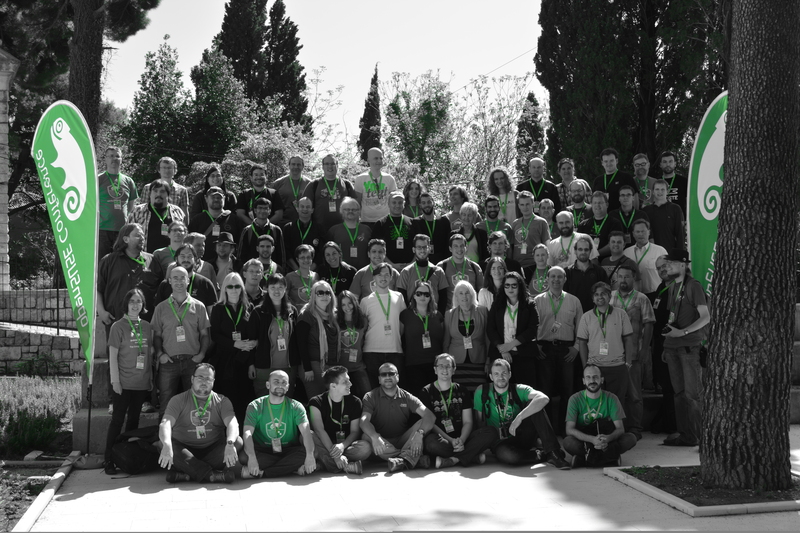 Another openSUSE Conference, another Country, but the same awesomeness. 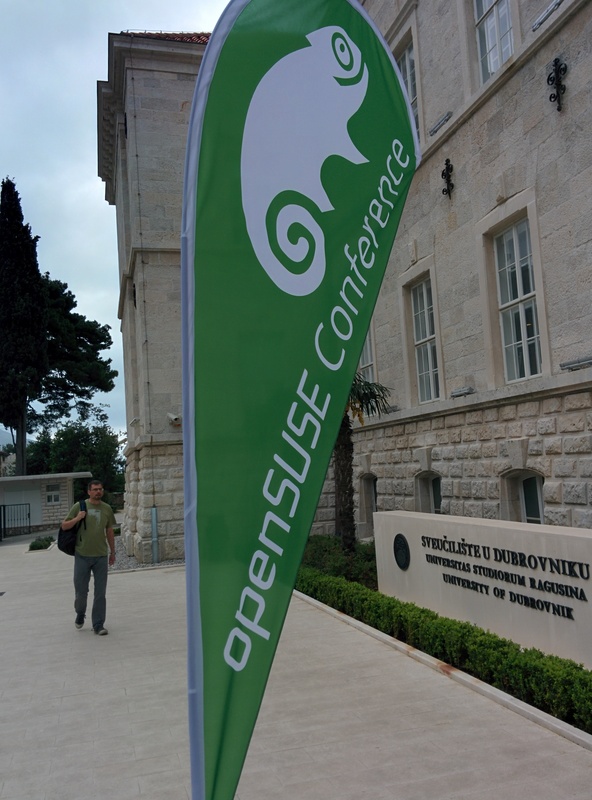 I attended the openSUSE Conference in the amazing city of Dubrovnik (more commonly known as King’s Landing), and it was another spell binding experience. Right from the talks, presentations, people (I cant stress on this one enough) to the location, everything was impeccable. I sit down to pen my thoughts at another experience, and memories which I will cherish. There was plenty to enjoy, learn, discuss at the conference, which lived upto its tagline – ‘The Strength to Change’. I highlight some of my experiences in this rather lengthy post. The location was just spectacular. I have been a ‘A Song of Ice and Fire’ and ‘Game of Thrones’ fan for quite some time, and had a vivid image of what King’s Landing would look like. It lived up perfectly to its name. I think Dubrovnik was ‘meant’ to play host to King’s Landing in the series. Visiting the Walls, Fort Lovrijenac (The Red Keep) felt like I had landed inside the world of Westeros. The Conference was held in the University of Dubrovnik. It was a pretty nice location, very close to Oldtown in a nice, peaceful location. This was something new to me. 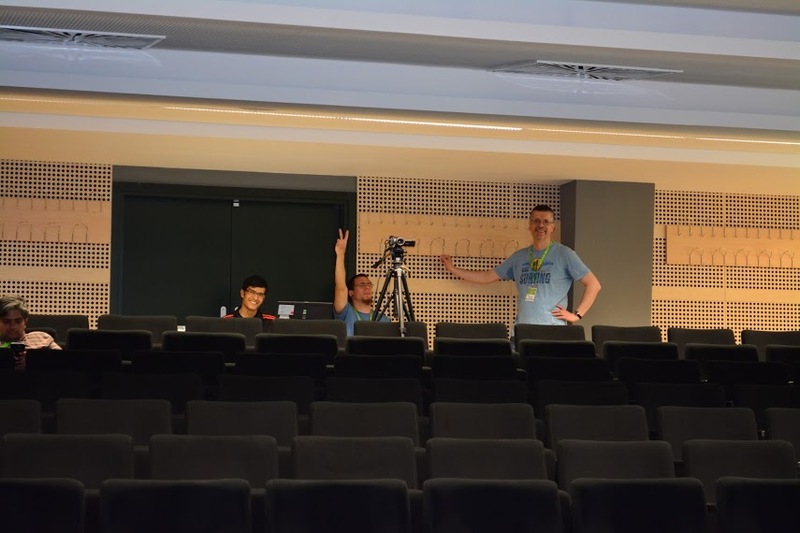 I helped around with the video team in mixing videos, and handling the camera for some of the talks. I had never done this before, and Christopher Hoffman gave me a great hands on. It was a pretty nice experience, working with Stephan Barth, Dubravko Jakovljević, Sarah, Jurgen, Marcel. I hope to be helping around with the video team at the next oSC as well. I missed a part of the townhall partly due to the incessant rain, but I got in time for the bulk of the discussion. The burning issues in the townhall were related to the openSUSE Release Cycle, and how Factory fits in. The discussion was pretty interesting, though the outcome will probably be clear in the current weeks. As of now, openSUSE 13.2 is slated for a November release. Yes…I had to devote a whole section to this amazing person from Brazil, and one who made the conference even more memorable. I first met him at the hotel with Izabel, and we got down to talking. The discussions were amazing on talks from our diverse, but to a certain extent, similar cultures to the evil aspects of Google (and the nexus with the NSA :D). For a whole hour, he shed light on Cuba, which was pretty amazing. Whenever the guy talks, people listen intently. I enjoyed talking to him, and his banter of ‘You are TOO SLOW man!! !’ has stayed with me. Reaffirms my belief that conferences are a great place to meet people and understand different cultures. Geekos love to party…plain and simple. 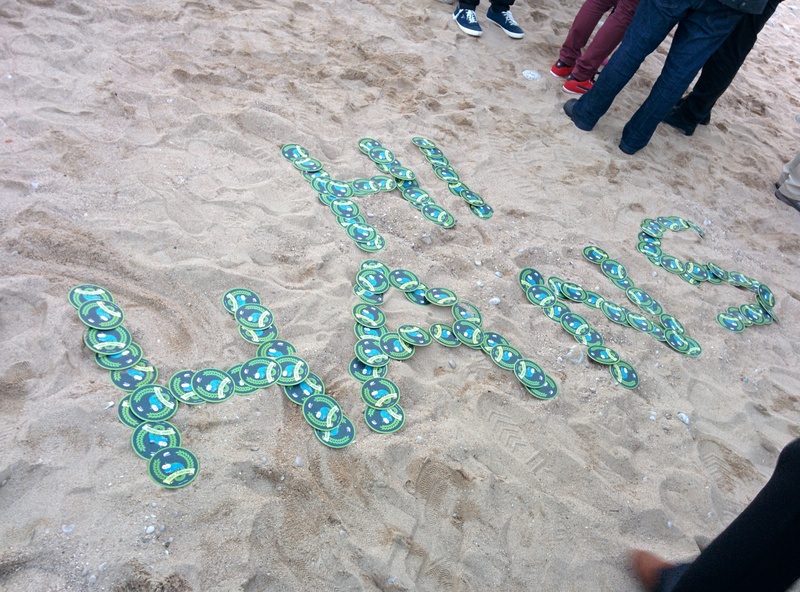 After a hard and long conference, we had the main party at Eastwest Beach Club Banje, on the Adriatic shore. It was quite a picturesque place. The food was pretty nice, though I could hardly find stuff I could eat (considering I dont eat meat). Still I had a fun time interacting with people. I met with Peter Czanik, who works with Balabit Security, an organization we are collaborating with in the Google Summer of Code. We had a lengthy discussion on topics ranging from Hungary, Balabit, GSoC to name a few. Contribute. It is not a free ride. This one perhaps warrants a separate blog post, as a guide on how NOT to travel, but I am going with the flow. I made a hash of my reservations, which almost cost me attending the conference. I canceled the tickets through Germany, and in panic, booked tickets going through Austria, without realizing that there is a 20 layover in Vienna, which would have been intolerable, and that I would potentially overstay on my visa. I tried looking for an alternative, and was on the verge of booking tickets to Moscow, only to see the price double while I blinked. I missed the last day of the conference due to these issues, and also ended up spending some more on extending my hotel reservation, which was for a day less. Nice post. I guess you took a lot of leaves from the office to make this work 😛 but looking at the post, it was totally worth it!